This stylish Ladies Gold-Toneen Low Vision Analog Talking Watch reads the time with a touch of a button in a clear, male voice. 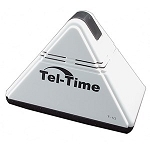 Hear the time whenever you need to with this low vision aid. 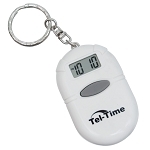 Helpful for people with low vision as well as in lowlight situations, the talking watch provides a wealth of convenience. This low vision talking watch has a bright Gold-Toneen case and white dial with large black numbers and wider-than-average black second, minute and hour hands. Gold-Tone colored stainless steel expansion band fits almost all wrists. Dial size: 1-1/4 inch. This lady’s low vision talking watch comes with a SR621SW battery for the watch itself and another CR2016 battery for the talking feature. For your convenience, a set of replacement batteries is available for purchase separately.